Mobile Accommodation Camps Pty Ltd is a specialist hire fleet manager of quality mobile accommodation units and full transportable camps for your workforce. Our fleet comprises over 1000 rooms in 1, 2 and 3 room configurations, commercial kitchens, laundries, gyms and site offices. 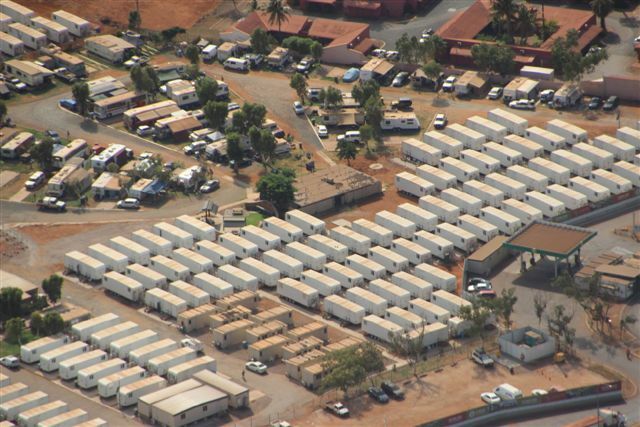 Mobile Accommodation Camps has hire fleets based out of Port Hedland, Meekatharra, Tom Price, Newman, Darwin (near Inpex), the Surat Basin, Mt Isa, Jandowae and Maryborough Qld. Mobile Accommodation Camp’s approach is driven by Value, Flexibility and Scalability, priding itself on being able to tailor a hire package to a customers requirements that delivers functional requirements at a significantly reduced life cycle cost, resulting in a relatively higher return on capital. The key to Mobile Accommodation Camp’s value to customers is the low cost of reconciliation to site and/or relocation, high mobility and overall low input costs. Mobile Accommodation Camp’s strategic relationship with group companies QSD, together with Original Equipment Manufacturer King Caravans and full accommodation service provider Camp Management Services, provide us with an end to end capacity that is unmatched by our competitors. Mobile Accommodation Camps is therefore able to continuously leverage from the industry leading experience of both the personnel within Mobile Accommodation Camps and those within the related companies of our group, preserving and enhancing our group’s position as the benchmark for comprehensive remote accommodation service. Mobile Accommodation Camp’s Occupational Health and Safety Management System (OHSMS) is compliant with AS4801:2000, and has been developed to easily integrated with each states relevant OSH legislative framework, either in general terms (ie, WA OHS Act 1984 and Regulations) or under the relevant Resource industry framework (eg, WA Mines Safety and Inspection Act 1994). The Mobile Accommodation Camp's OHSMS is audited externally on an annual basis, and internally on a quarterly basis. Mobile Accommodation Camp’s Quality Management System (QMS) is compliant with the process-based ISO9001:2008 series of standards that emphasis continual improvement and innovation. Mobile Accommodation Camps maintains a policy of inviting all existing and prospective customers to audit the QMS as part of its commitment to quality assurance. Mobile Accommodation Camp’s Risk Management System (RMS) complies with the requirements of IS31000:2009, and is entrenched in every part of the business’ governance, compliance and operational systems.